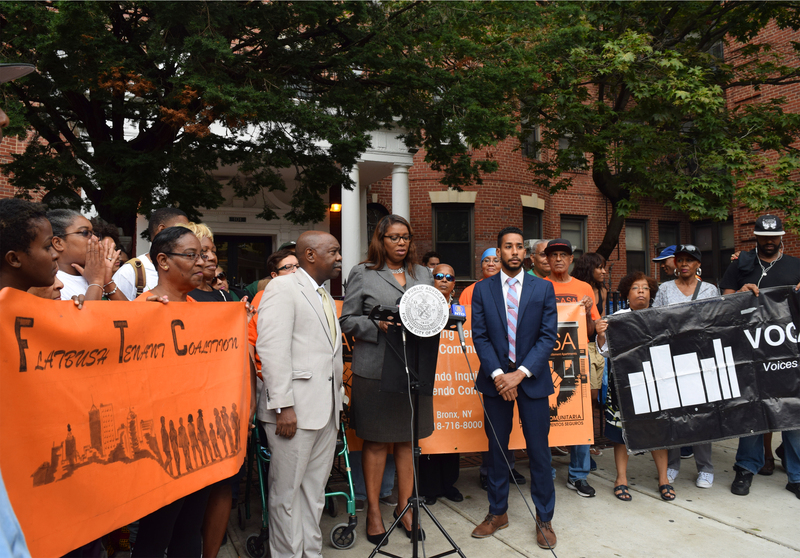 Today, Public Advocate Letitia James released The Money Behind the Worst Landlords where she is calling on the banks loaning money to the landlords on her annual Worst Landlord List to commit to using their financial influence to hold landlords accountable, demand repairs to dangerous buildings, and stop lending to those who are forcing tenants out with underhanded or illegal tactics. ANHD applauds the public advocate for making public what is often hidden behind that list – the banks that are financing these landlords. ANHD has long asked all banks, and especially those that lend on rent-regulated multifamily housing, to commit to a set of best practices to preserve this stock of housing. We are so pleased to announce that New York Community Bank (NYCB) – one of the largest multifamily lenders in the city – has committed to these best practices, including responsible underwriting, appropriate vetting of borrowers, and responding when issues arise. New York City is a city of renters, and rent-regulated multifamily housing is one of the most important sources of private affordable housing in the city. We need banks at the table making loans on this stock of housing, but only if it’s done responsibly. Bad lending is as destructive as good lending is necessary. The public advocate’s Worst Landlord List is a long-standing, valuable resource that sheds light on landlords who are not acting responsibly. Tenants in these buildings know the horrible conditions they face and the data confirms that. The buildings on this list have the most serious violations – no heat and hot water, broken elevators, disrepair in apartments and common areas, lack of security, mice and vermin, and more. But, these landlords can’t do this alone. They need money – often mortgages from banks – to purchase and operate their buildings. The banks are regulated under the Community Reinvestment Act (CRA). Under the CRA, banks have an obligation to help build and preserve affordable housing with their lending. Banks must be held accountable when their loans lead to harassment, displacement, poor conditions and a loss of affordable housing, all of which run counter to that obligation. Responsible underwriting. All banks should ensure their loans are not made speculatively and do not encourage displacement, harassment, or neglect. We believe a best practice is to underwrite to a Debt Service Coverage Ratio of at least 1.2, based on current in-place rents (including preferential rents) and realistic maintenance costs. Appropriate vetting of borrowers. Banks should use all available sources – including information from tenants and tenant organizers – to lend to responsible landlords who are dedicated to maintaining the stock of rent-regulated housing and respecting the rights of tenants in order to preserve this stock of affordable housing. This means looking at landlords on the Worst Landlord List, as well as all available information on landlords that own buildings that are in poor condition and/or are harassing and displacing tenants. Responding to issues in buildings. All banks should have a formal process to respond to tenants and tenant organizers when problems arise in buildings they have loaned on, with the same goal of preserving affordable housing. Banks must work with all parties - borrower, community organizations, and the City –to address issues in the building.